Japanese knotweed in a herbaceous perennial that in native to Japan, North China, Taiwan and Korea. According to Whole Foods Magazine Online, Japanese knotweed contains significant concentrations of the potent antioxidant resveratrol. Resveratrol occurs naturally in many foods such as grapes, peanuts, mulberries and red wine in addition to Japanese knotweed. Consumption of Japanese knotweed promotes several beneficial health effects due to the presence of resveratrol. The resveratrol concentration in Japanese knotweed has shown to have preventative effects against Alzheimer's disease. According to PubMed, a study conducted at the Feinstein Institute of Medical Research in Manhasset, New York revealed that intake of resveratrol has beneficial properties against the neurodegenerative processes that lead to Alzheimer's disease. The research was performed on cell cultures and animal subjects, however, the results of this study yields promising results for Alzheimer's disease in the human population. 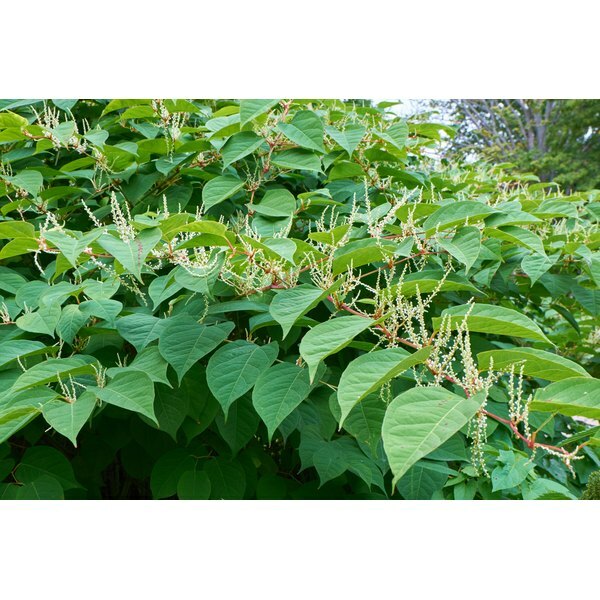 The antioxidant properties of Japanese knotweed can have preventative effects against cardiovascular disease. According to Linus Pauling Institute at Oregon State University, the presence of resveratrol in Japanese knotweed can promote the phenomenon commonly known as the "French Paradox." The "French Paradox" refers to the fact that the incidence of cardiovascular disease is very low in France even though the French population consumes a diet very rich in saturated fat and a high percentage of cigarette smoking among French population. The reason for the low incidence of coronary disease is attributed to the resveratrol concentration in the high quantity of red wines that is commonly consumed by the French population. Red wine and Japanese knotweed both contain high concentrations of resveratrol which can equally provide protection to the cardiovascular system.